Analysis: Miller required nine surgeries after his devastating October 2017 injury, nearly losing his left leg after a dislocated kneecap ruptured an artery. 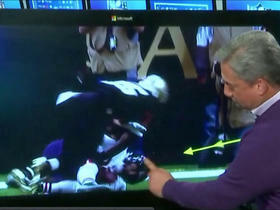 Doctors were able to save the leg and help him walk again, but a return to football was too much to ask. The 34-year-old tight end retires with 146 catches for 1,631 yards and 15 touchdowns in 66 NFL games, highlighted by back-to-back seasons with more than 400 yards in 2015 and 2016. 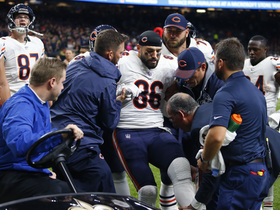 Analysis: Miller suffered a career-threatening injury in October 2017, requiring nine surgeries after a dislocated kneecap ruptured an artery in his left leg. A return to the NFL has never been likely, but he's seemingly at least considering the possibility. 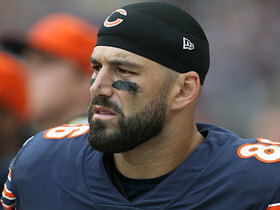 The 34-year-old tight end is under contract with the Bears through 2019. 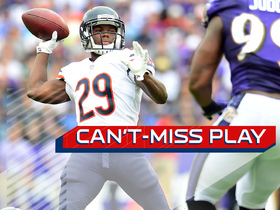 Analysis: There hasn't been news of Miller re-upping with Chicago, but it's possible a clause in the one-year contract the tight end signed last offseason may have kept him under Bears control for another year Recovering from an extremely severe knee injury, Miller still has a long way to go before returning to the football but will seemingly be able to work out at the Bears' facility in the meantime. Miller (knee) was seen jogging in a recent feature on Fox Sports. Analysis: Miller still has many steps to go in his path to recovery, but the tight end seems committed to making a return to the field. 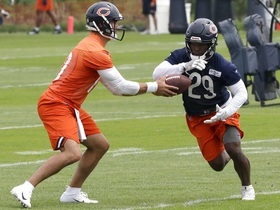 His progress to date is remarkable in itself, considering Miller wasn't guaranteed to walk again after severely dislocating his left knee in October of 2017. The "Good Morning Football" crew talks about the Bears and tight end Zach Miller. 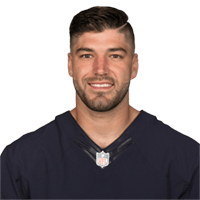 NFL Network's Stacey Dales reports that the Chicago Bears have placed tight end Zach Miller on the PUP list and he will not play this season while he rehabs. NFL Senior VP of Officiating Alberto Riveron explains why Chicago Bears tight end Zach Miller had his touchdown reversed in Week 8. NFL Network Insider Ian Rapoport brings the latest information on the knee injury to Bears tight end Zach Miller. 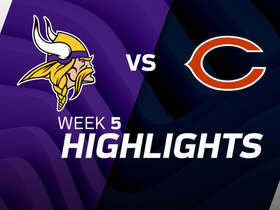 Chicago Bears tight end Zach Miller almost pulls in an incredible TD catch on a pass from quarterback Mitchell Trubisky. 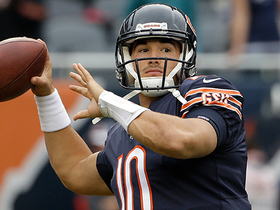 Chicago Bears quarterback Mitchell Trubisky lofts the pass to tight end Zach Miller for a gain of 24 yards. 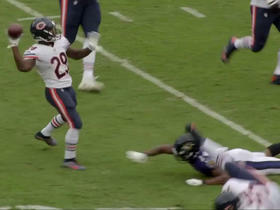 Chicago Bears running back Tarik Cohen throws a TD pass to tight end Zach Miller on a trick play against the Baltimore Ravens in Week 6. 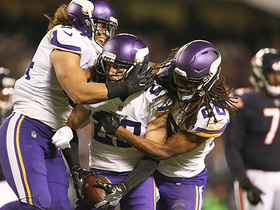 Minnesota Vikings safety Harrison Smith makes crucial interception off of Chicago Bears quarterback Mitchell Trubisky in the 4th quarter.